Welcome to the second part of the ‘’Romanian vehicles (in detail)’’ series by davidblader! Today we take a look at another tank destroyer made by Romania during the Second World War: the TACAM T-60, and its rather unknown version, the TACAM T-60A. Click here for my previous article on the TACAM R-2. The TACAM T-60 (Tun Anticar pe Afet Mobil T-60) is one of the converted Romanian tank destroyers made during World War II. This vehicle combined the hull of T-60 tanks, captured by the Romanian Army, with the Soviet 76.2mm F-22 gun, also captured by the Romanians. The turret was replaced with a 15mm thick cabin. 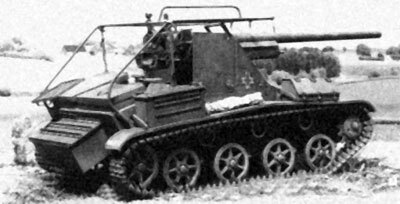 It was similar to – and probably modeled after – the German Marder-series. With more T-34s and KV-1s appearing on the front, it became obvious for the Romanians that their outdated tanks (R-1s, R-2s and R-35s) were no match against the new Soviet armor. The Germans were not prepared to supply more modern weapons as long as their own forces were short. Therefore, the Romanians sought for ways of improving their combat vehicles. Marshal Ion Antonescu (Romania’s ruler) initially wanted to produce a copy of the T-34, but this soon proved far beyond the resources of the Romanian industry, so something else had to be done. The Romanians had captured around 170 Soviet tanks and around 150 field and anti-tank guns of various types. Lt. col. Constantin Ghiulai was ordered to develop a project for an anti-tank gun on a mobile carriage using this material. 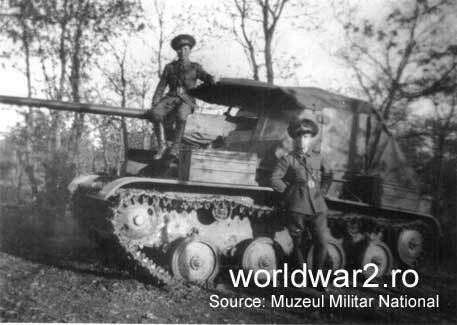 Ghiulai went for the T-60 light tank, because it was a modern tank which had only entered production in November 1941, it was highly manoeuverable and it was of unsophisticated construction appropriate to Romania’s limited industrial capacity. Furthermore, it was powered by the GAZ 202 engine, which was actually the American Dodge-Derotto-Fargo F.H.2 engine built under license in the USSR, and for which spares were available both in Romania and Germany. The chosen gun was the 76.2 mm F-22, of which there were 38 immediately usable pieces in depot at Târgovişte. This gun’s traverse was of 32° on each side, while the elevation was of -5°/+8°. The secondary armament was a 7.92mm ZB-53 machine gun for protection against infantry assaults. The ammo capacity consisted of 44 rounds (Romanian Costinescu AP shells and captured Soviet shells). Ghiulai’s project was approved. 23 T-60s were sent to the Leonida factory, in Bucharest, for repair. It was there that the TACAM T-60’s prototype was built under Ghiulai’s supervision between November 1942 and January 1943. Also in January, another eleven T-60s were sent to Leonida for conversion. Row of TACAM T-60 vehicles. The turret was removed and replaced by a three-sided cabin with an open back and roof. For protection against the weather, a tarp could be stretched over a frame (not available for every vehicle). The cabin, made from armor plates of captured BT-7 tanks, was 15mm thick. This picture shows the above-mentioned frame on which a tarp could be stretched to protect the crew and equipment from the weather. The original engine cover was replaced by one of Romanian construction, and a system of gratings was fitted so that the driver could cool the engine. The air vent from the radiator was modified to allow the stowage of more ammo close to the gun. The driver’s seat was modified, and new padding fitted for the driver’s and gunner’s heads. Engine parts, the instrument panel and other accessories were imported from Germany. The suspension was adjusted to suit the new centre of gravity, heavier weight and greater recoil of the 76.2mm gun. The stronger torsion bars this required, and new rubber-rimmed wheels, were based on the original Soviet designs. These, and a more durable all-metal wheel, the Ghiulai model, were cast and finished to the higher specifications by the Industria Sârmei in Turda, IAR at Braşov and Concordia at Ploieşti. A brake to lock the wheels during firing was also added. The gun’s carriage was replaced by a special base plate designed and cast at the Concordia works in Ploieşti and finished at the Astra works in Braşov and Lemaitre works in Bucharest. The gun-laying mechanism was modified to conform with the positions of the sight, the gunner’s seat and the firing pedal, and a recoil guard was fitted to protect the gunner. Aiming mechanisms were moved to one side of the gun. Thus, only one gunner was needed, not two. 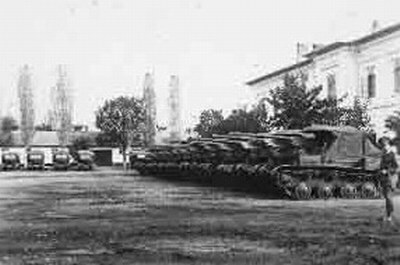 By mid-June 1943, 17 TACAM T-60s had been completed and assigned to the Mechanisation Training Centre and 1st Armored Regiment for training. The remaining 17 pieces were ready by the end of 1943. Now, you might have been wondering what this TACAM T-60A thing is. When creating the TACAM T-60, the Romanians had actually chosen two types of T-60 tanks to be converted: the early T-60 and a later version, known as T-60A by the Axis powers. The so-called T-60A had thicker frontal armor and disc road wheels. Vehicles of this type, which were converted, became known as TACAM T-60A. The wheels however (probably) got modified for every converted T-60 (including T-60As), which means the TACAM T-60A is just a TACAM T-60 with stronger frontal hull armor. It’s not known how much the armor was increased, probably around 5mm. The 34 TACAM T-60s were assigned to reform the 1st Armored Regiment. There they formed the 61st and 62nd TACAM Companies. The TACAM T-60 first saw combat in 1944, when two batteries with 14 tank destroyers in total were added to the Cantemir battle group, an improvised unit made from elements of the 1st Tank Division to defend Northern Transnistria. Specifics of the participation of TACAM T-60s are unclear, but it was likely a difficult fight. By the time Battle Group Cantemir was transferred to North Bessarabia on March 28th, 1944, only seven vehicles of this type remained. In April of 1944, the remainder of the Cantemir group was reintroduced into the 1st Tank Division. After reorganization, a tank destroyer battalion was made, consisting of a battery of TACAM T-60s and a battery of German assault guns. On April 7th, 1944, the Cojocaru battle group was formed from units of the 8th Motorized Cavalry Division. The group included the 12th Motorized Regiment, 3rd Motorized Artillery Regiment, three independent infantry battalions, and three TACAM T-60 tank destroyers from the 62nd Company. This unit fought until June 30th, 1944, at which point it was returned to its “home” division. Little is known about the subsequent fate of the TACAM T-60s. Romanian sources briefly mention their participation in the defense of Bessarabia in August of 1944. There is almost no mention of these vehicles after King Michael’s coup d’état (23 of August). 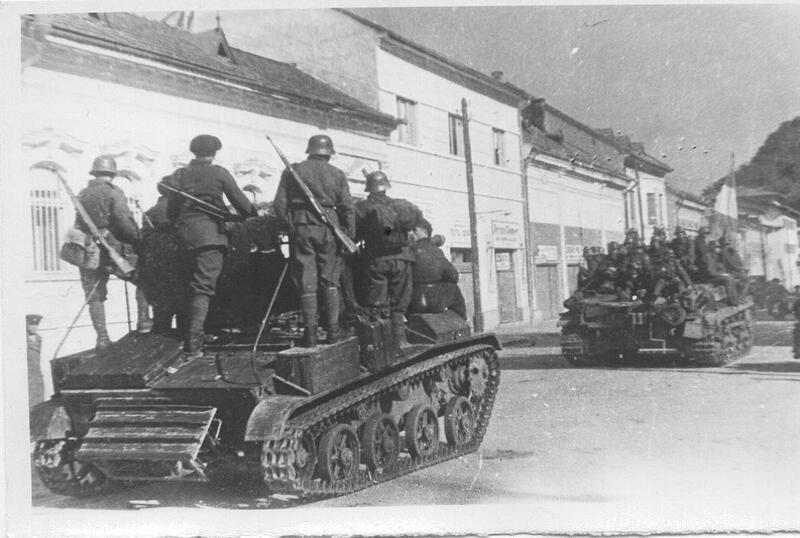 After October 1944, most of the vehicles were returned to the USSR due to them being based on a Soviet tank. At the very least, one TACAM T-60 was tested in Kubinka. A TACAM T-60 supposedly being tested at Kubinka. Interesting note: In 1942, the Soviets had attempted to mount the same 76.2mm gun on a T-60 hull, but this was abandoned due to the hull’s inadequate size. Other guns used on the vehicle? Although unlikely, an article made by SilentStalker on the now-defunct FTR site says that some TACAM T-60s were equipped with 57mm ZiS-2 guns according to Romanian sources. There are also reports of a 105mm howitzer version, but no proof has been found. This is very unlikely because no other source mentions anything like this. Also, every image of the TACAM T-60 shows the 76.2mm F-22 gun. Those versions were probably nothing more than plans, if they ever existed. More research needs to be made on the subject. The TACAM T-60 would be a tier 3 TD, due to its 76.2mm gun, which fits perfectly at that tier. If the 57mm ZiS-2 version turns out to be true, the ZiS-2 could be added as a different gun option. A 105mm howitzer would be too OP at tier 3, so it wouldn’t be added (that would be good for a tier 4 TD). The stock tracks would use the rubber-rimmed wheels, while the upgraded ones would use the better all-metal Ghiulai-model wheel. About the TACAM T-60A, I think it’s not worth adding it since it’s the same thing as the TACAM T-60, except the front of the hull is a bit stronger. If it would be added, though, it should probably come as a tier 3 gift tank (for Christmas or some other event). After all, we’d get a free garage slot! TACAM T-60 with the tarp stretched over the cabin. TACAM T-60 behind a Hungarian Zrínyi assault gun captured by Romanian troops. 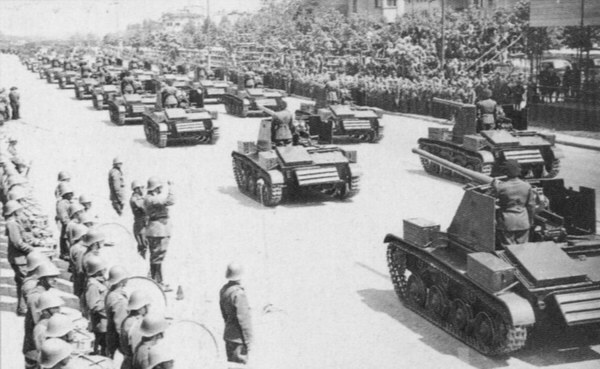 TACAM T-60s at the 1943 National Day parade. Even more TACAMs at the same parade. This was the TACAM T-60 article. More articles are coming soon. Hopefully they get noticed by Wargaming, who will hopefully add Romania to WoT someday, as it seems Romania has got enough high tier candidates as well (article on them coming soon). Great article, looking forward to more. I would look forward to this coming to Warthunder hopefully in the not to distant future. Please write more articles. And ignore all comments accept mine, most are russian trolls anyway.